Tales From The Pictures We Saved – Episode 4: Ain’t Tech Grand? 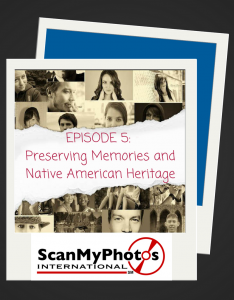 In this week’s episode we explore a ScanMyPhotos customer whose book, The New Grandparents Guide to Technology, helps grandparents create stronger connections and relationships with their grandkids through technology. Preview: These days, it seems like the only people who understand technology are those born with an iPad in their hands. For the rest of us, the rapidly advancing tech can be a challenge to get a handle on. This is why ScanMyPhoto’s customer and proud grandfather Peter Farnsworth has made it his personal mission to use technology to connect with younger generations—specifically, the grandkids. In 2012, it was estimated that 3.8 trillion photos had been taken to date (we think it’s safe to assume that amount has at least doubled by now). So, what is the world doing with all of those pictures? Most of them—especially the print photos—are tucked away somewhere, collecting dust and being exposed to the ravages of time. But they don’t have to be! Not sure where that old photo of your great aunt Selma was taken? Well, this is where Maureen Taylor can help you solve the case. 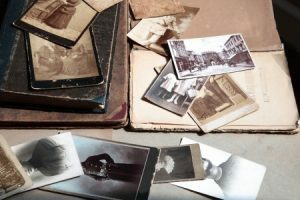 Featured on platforms like Martha Stewart Living, Better Homes and Gardens, and The Wall Street Journal, Maureen can give you details on that old photo that will help you uncover more about your past and family history. For most people, a rainy day is an excuse to snuggle up with hot cocoa and a good Netflix series. 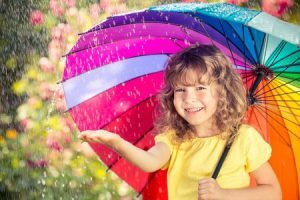 But if you’re a photography nut eager to capture some amazing shots, you should put down that remote and head out into the downpour! Whether you’re shooting with a state-of-the-art camera or a smartphone lens, protecting your equipment is priority #1. For serious hobbyists there are plenty of products on the market to keep your camera dry, but in a pinch you can get by with a gallon-sized plastic bag. Rain gear for the photographer is optional. Did you know August is Romance Awareness Month? Six months after Valentine’s Day, romance blooms once again! August is Romance Awareness Month and it’s time to let that special someone know how much you care. Whether it’s by helping with chores around the house, planning a surprise night out, making a special dinner, or giving a thoughtful and sentimental gift, there are so many ways to show your loved ones how much they mean to you! Of course, we’re partial to giving gifts that celebrate all the romantic moments we’ve shared with our partners in the past—especially the moments captured in old print photos. But in order to make a romantic photo gift (see below for a truly unique idea), you need to scan those photos in first! For underwater photography, closer is always better. It may feel uncomfortable, but if you can safely get within 12 inches of your subject, you’ll be able to capture intricate detail that will make it worth the extra effort. Move over, picture frames—there’s a new game in town. Companies all over the world are capitalizing on advances in 3D-printing technology to change the way we interact with our photos. Flat images are transformed into 3D creations you can touch, and this is just the beginning! For those who are searching for some arts and crafts projects to keep everyone cool and entertained in the summer heat, why not take this time to delve into some memories, too? Since launch of Google Photos® in May, 2015, they have amassed more than 200 million active monthly users. Its image recognition and editing tools provide easy organizing of all your pictures in separate categories. This is ideal once your pictures, 35mm slides and film negatives are scanned. Along with Flickr, Instagram, Facebook Moments, Snapchat and all the other photo-sharing apps, this is leading to a spike in the amount of pictures we see shared across social media platforms. “As the powerhouse of intuitive functions, Google Photos wins! Never before in my 25-years of experience in the photo imaging industry has there been such an immediate, firestorm of raving reviews for a comprehensive way to enjoy a simple and smart answer for searching, organizing, editing and sharing pictures,” explains Mitch Goldstone, President & CEO of ScanMyPhotos.com. But even with the increase of photos shared online, something will be missing. There are two kinds of photos in this world: digital and analog. The photos you can easily organize and add to the popular photo-sharing and cloud storage services will mostly consist of recent digital pictures from mobile devices—but what about all those analog and print photos? Are they so easily left out? According to ScanMyPhotos.com, the average household has about 5,500 analog snapshots—which means generations of photos are quickly fading away from the ravages of time. The powerful social media storytelling platforms will be mostly devoid from this entire history of treasured nostalgic memories. “Google Photo’s high performance and powerful way of storing pictures in the cloud is partly overshadowed by the 3.5 trillion analog snapshots that need to be digitized. This challenge for the photo-sharing and cloud storage services is being solved; ScanMyPhotos.com, the e-commerce photo digitization business has already scanned 300 million photos,” says Goldstone. Here is the ultimate Google Photos rave from USA Today’s longtime and much respected, in-the-know, Technology Columnist Jefferson Graham. Google Photos may be best app for photo shares. I’d like to offer Google Photos as the easiest way to share videos and photos on a one-to-one basis–Google Photos. Google recently announced a user base of 100 million folks since launching Google Photos in May. That’s one of the quickest mega-success stories for the search giant in years. And why not? Google Photos is free and has no storage limits. It automatically backs up all your smartphone images, and with a software download, will do the same on your computer as well. The time has come to make digital copies of our analog photos, and upload them to the photo-sharing and cloud storage service of our choice. This will not only ensure these photos are preserved, but it will add a complex layer to the influx of photos we’ll see shared across social platforms. ScanMyPhotos.com has professionally preserved 300 million happy memories, milestones, and special events for its customers since 1990. They specialize in photo, 35mm slide, negative film scanning and photo restoration. 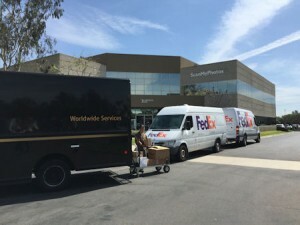 All photo digitization fulfillment is professionally performed on-site in days at the ScanMyPhotos.com corporate headquarters. ScanMyPhotos.com is just a big fan of Google Photos, and are not in any way associated with them, nor is this an implied endorsement by Google Photos.